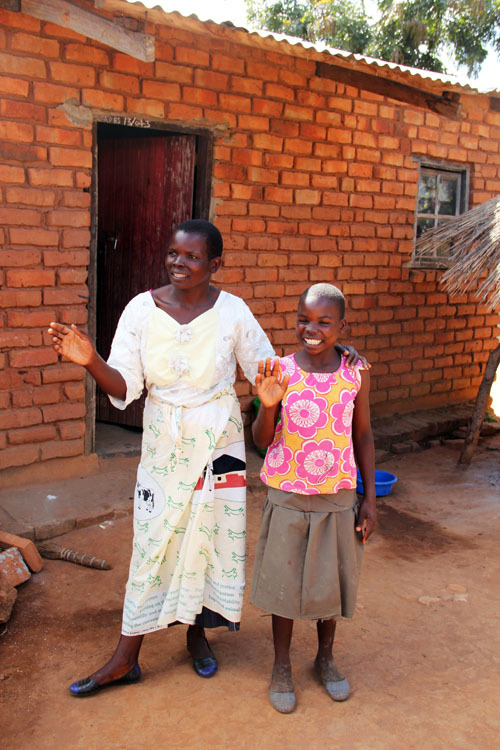 It’s been one year since I returned home from my trip to Malawi with ONE and Heifer International. One year since I dropped my kids off at school on my first full day back then fled to my car and wept. One year since I could not figure out how to process all that I had seen and learned. 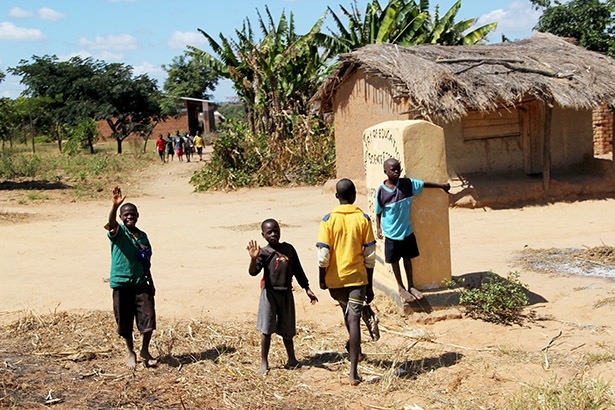 Over that year I have thought a lot about the experiences I had in Malawi and talked with many people about the trip. 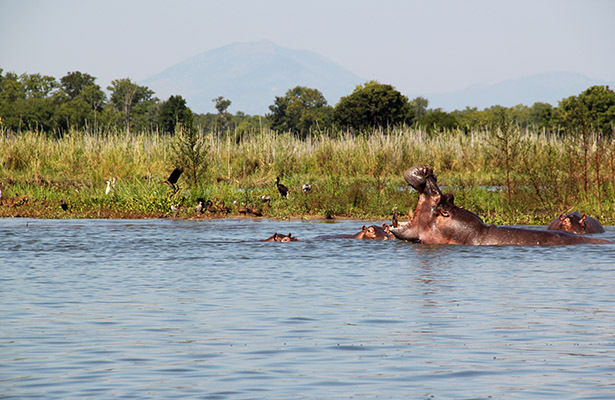 As I’ve grappled with a way to explain it all, I think I have finally found the word that encapsulates what our visit to Malawi was all about: connectedness. I did a quick Internet search on the word connectedness and found on Wikipedia that in mathematics “connectedness” is used to refer to properties meaning “all in one piece.” Bingo. That’s it. This entire world and all the people in it, all in one piece. I wrote many posts last year about the trip but never finished sharing everything that I wanted to. I probably never will share it all, but today, one year later, I want to offer a few highlights that represent connectedness. 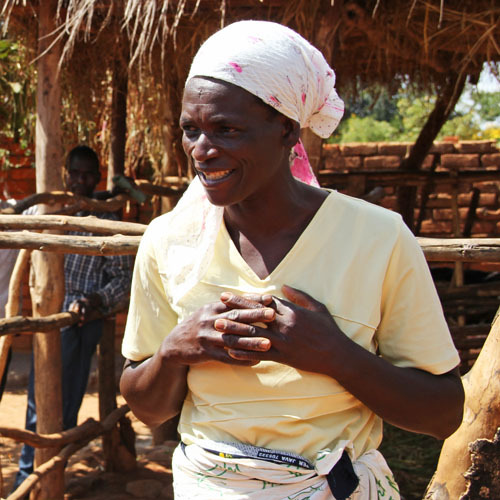 Connectedness happened…when a woman named Josephine in a remote village in Malawi gave her phone number to me, embraced me like a family member, and shared the amazing work she does organizing village savings & loan groups that give people the opportunity to lift one another through pooling resources. Her work is transformative. 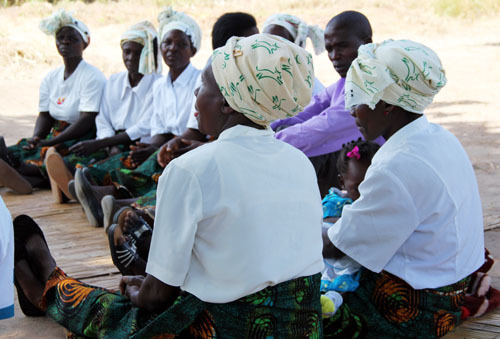 Connectedness happened…when the women in Josephine’s savings & loan group decorated the folding table set up for the meeting with a tablecloth and vase of flowers, as women do pretty much anywhere there is a group of them surrounding a table. 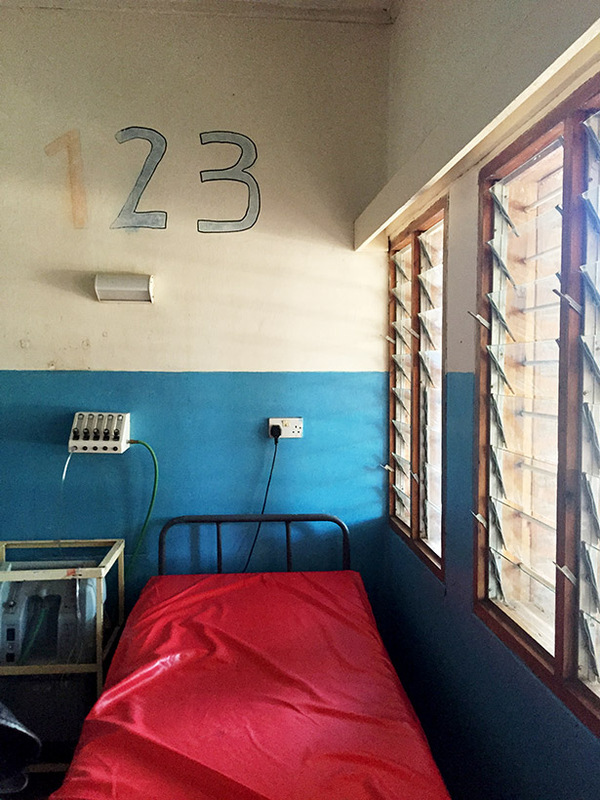 Connectedness happened…when we visited a hospital in Monkey Bay and unexpectedly entered a pediatric room with two children inside, one a toddler, who was all smiles, and another older child whose body was visibly affected by malaria, even in sleep. The child’s father sat at the bedside with a look so worn and heartbroken I felt we had entered, uninvited, into a harrowing yet equally sacred space. 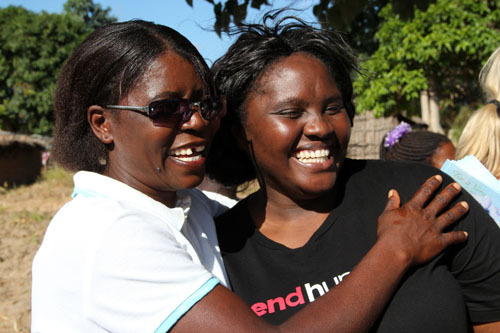 Connectedness happened…when we saw first hand the impact that the Global Fund (where all of (RED)‘s funds go) and PEPFAR have had in saving lives. So many lives. 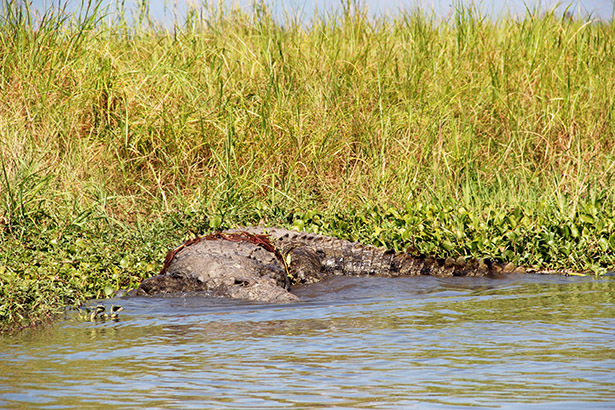 Connectedness happened…when we took a boat ride on the Shire river through the Liwonde National Park, home to some 2,000 hippos and countless crocodiles, living in a pristine, untouched body of water. All I could think about on that boat was how desperately I want for the people of Malawi to experience development and prosperity, but that I hope we as humans can evolve and creatively find new ways to develop that won’t destroy these natural resources like we have done pretty much everywhere else. 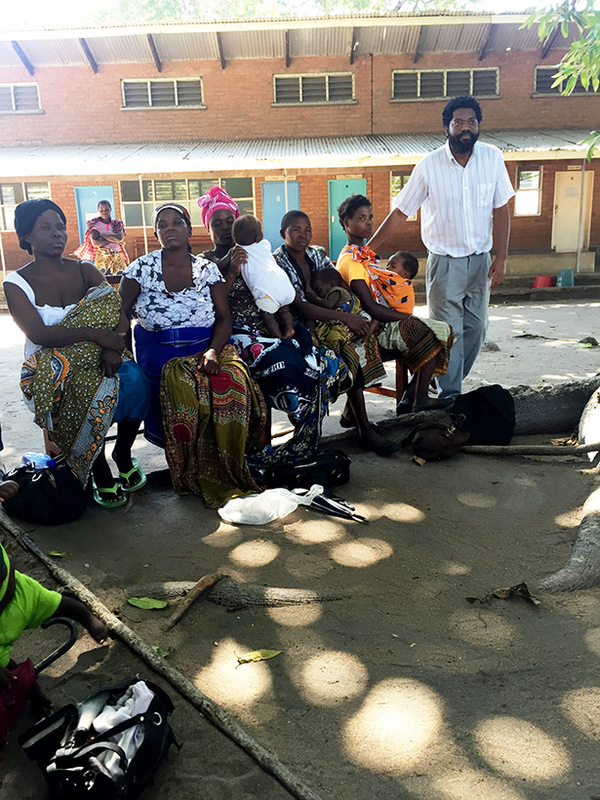 Connectedness happened…when we sat with a group of HIV-positive mothers holding their HIV-free babies, babies saved by CRT therapy that is stopping HIV transmission from mother to child. It is nothing short of miraculous. 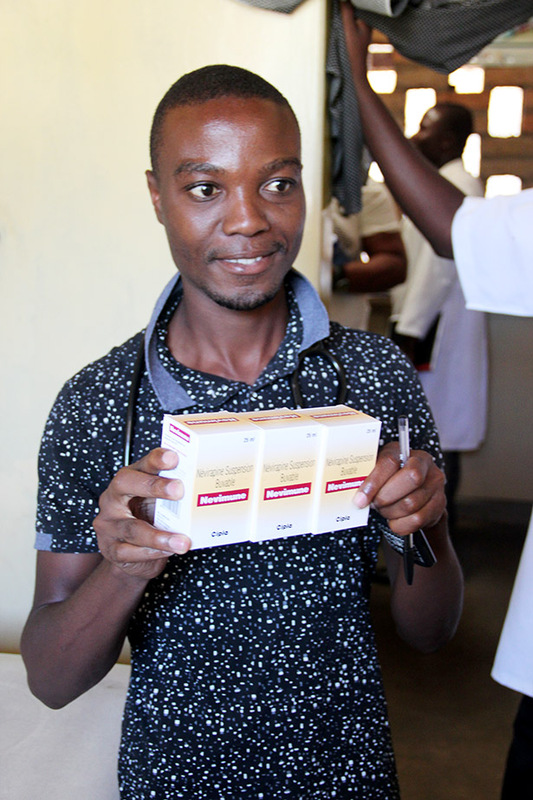 PEPFAR’s goal of working towards an AIDS-free generation is about to happen and it is a thing to behold. 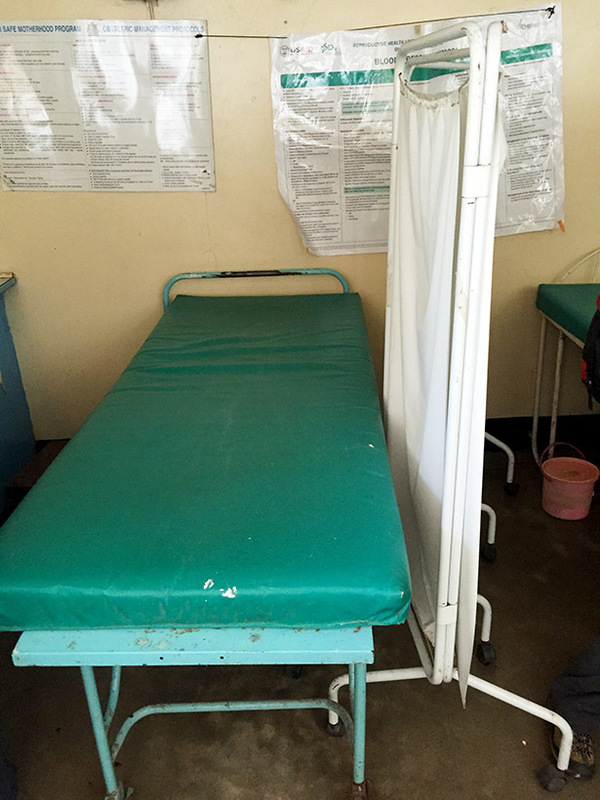 Connectedness happened…when we visited a small labor and delivery room in a medical clinic on the shores of Lake Malawi. 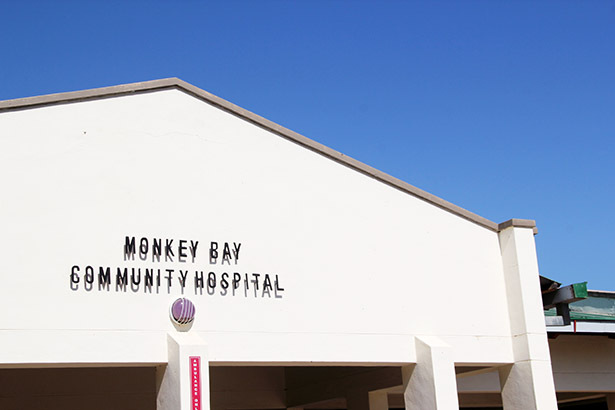 They explained the clinic did not have the resources for c-section operations and emergent patients must travel 30-40 minutes over bumpy roads to get necessary surgery. Under those circumstances I would most certainly not have my youngest son in my life today. The sorrows that room had seen we could only begin to imagine. 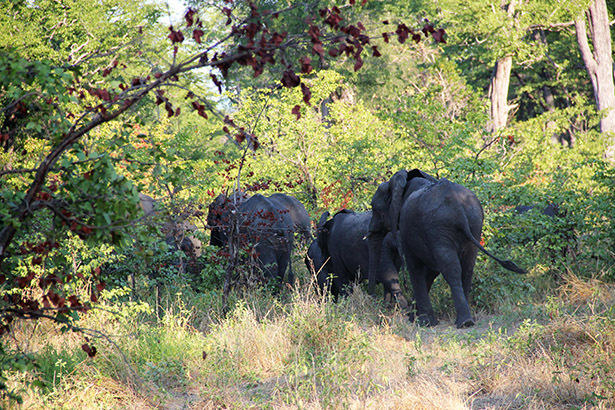 Connectedness happened…when we spotted a herd of elephants, with strikingly dark grey skin, walking through the forest. 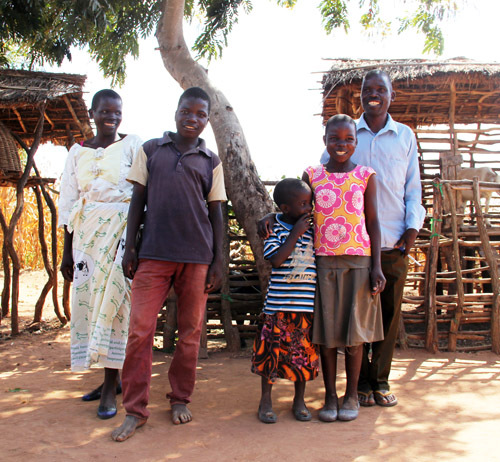 Connectedness happened…when the man from whom we purchased hand-carved wooden jewelry and key chains on the beach of Lake Malawi emailed us weeks after the trip, to tell us that he and his family are doing well, how happy he was to have our support that day and that he hopes we will not forget him. 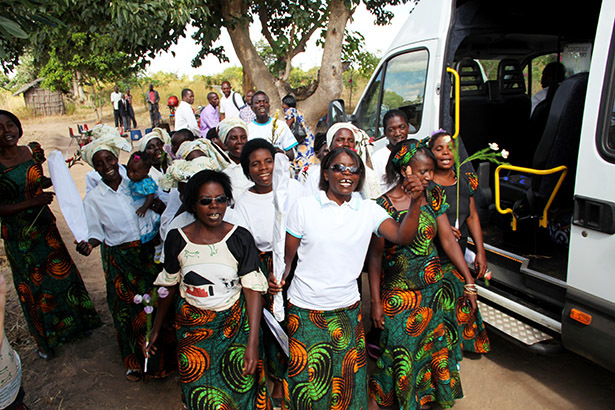 Connectedness happened…when, time and time again, we stepped off of the bus into a new community and were welcomed with smiles, songs, embraces and love. Genuine love. Connectedness. That what it is all about. That’s why all of this matters, why ONE and Heifer International took a group of writers halfway across the world to see the issues, the problems, the solutions, the impact of foreign assistance, so we can continue to spread the word, to reaffirm our connectedness, the very fact that we are all in one piece. As part of our trip we had the opportunity to meet with Oliver Pierson, Resident Country Director at Millennium Challenge Corporation (MCC), and Patrick Kadewa, Systems Operations and Power Trading Manager, Electricity Supply Corporation of Malawi (ESCOM), as well as take a tour of the National Control Center for ESCOM. As a follow up to the trip I had the chance to interview the CEO of MCC, Dana Hyde. To refresh, MCC is an organization created by Congress in 2004 with strong bipartisan support to fight poverty by providing U.S. government foreign assistance in really smart and targeted ways. All countries that work with MCC are extensively vetted and each project takes 18-24 months to come to fruition. In addition, each country receives a scorecard, which you can (and should) check out here. Economic: The untold story of our government’s assistance is that, when done right, it can help provide markets and opportunity for trading partners for American business. We live in a global economy and aid helps with the growth of other economies, which in turn fuels our own. Shared values and a moral perspective. This one is self explanatory – assistance is, quite simply, the right thing to do. So, I’ve shared my stories and experiences. Dana has explained why foreign assistance is good for everyone. Now what? Believe it or not you and I can have an impact. 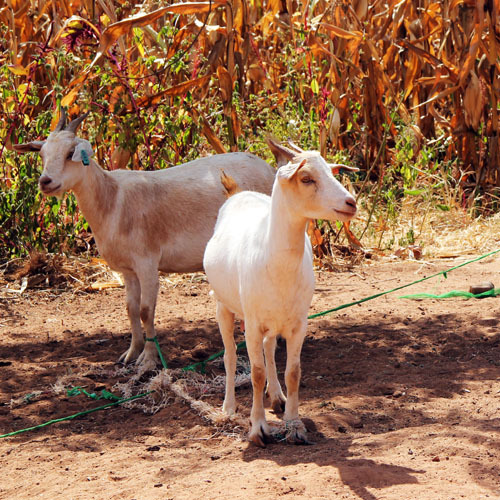 There is always the option of donating money to different causes and organizations like Heifer International and supporting programs like (RED). But your voice is also as powerful as your checkbook. 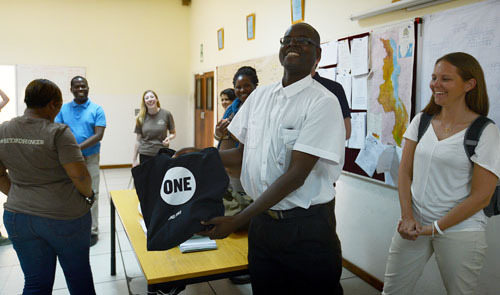 Organizations like ONE and the US Global Leadership Coalition are constantly informing citizens about legislation and actions we as citizens can take to make sure our government continues to fund foreign assistance programs. Malawi, you truly are the warm heart of Africa. Thank you for sharing your sorrows, your joys, your people, your love. Today I am writing as part of a month-long blog relay for ONE called “Light for Light.” At the end of this post there is a SUPER EASY way for you to do some real good. You won’t even have to click off this site to do it, so lend your voice (and your typing fingers) and help out! When I’m wearing my photographer’s hat, I crave outdoor light. It makes lighting photos easier, everything looks more natural, and the pictures are generally more beautiful and striking. And, for my work as a food photographer, natural light is essential. If I have to photograph something using indoor light, well, I am not a happy camper. 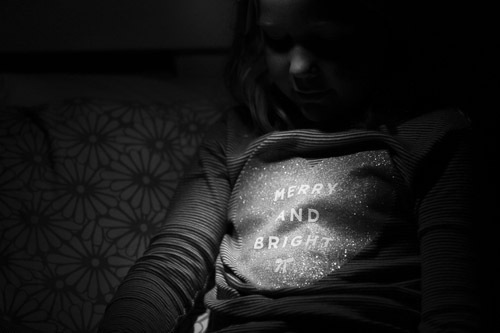 This week, however, I have been trying to look at indoor light differently. I’ve been looking for the beauty in the “unnatural” light that I so often disdain. Because, truly, that light is beautiful. It is warm. It is inviting. And it gives our family opportunities beyond imagination. 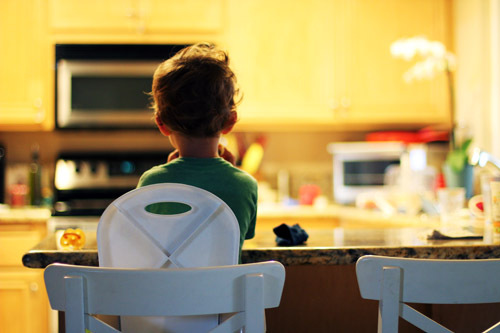 My children can eat breakfast in the warmth of their own well-lit kitchen, even before the sun rises. My children can read, even after the sun sets. 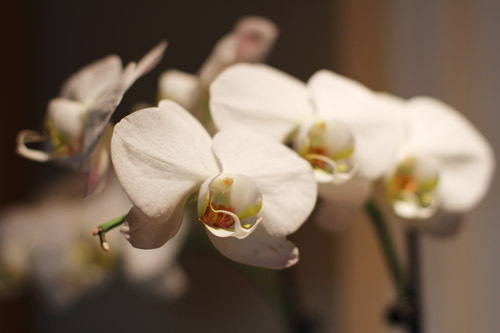 The orchid in my kitchen glows under the 1 kitchen light we leave on during evening hours to light our way through the house. It is beautiful. 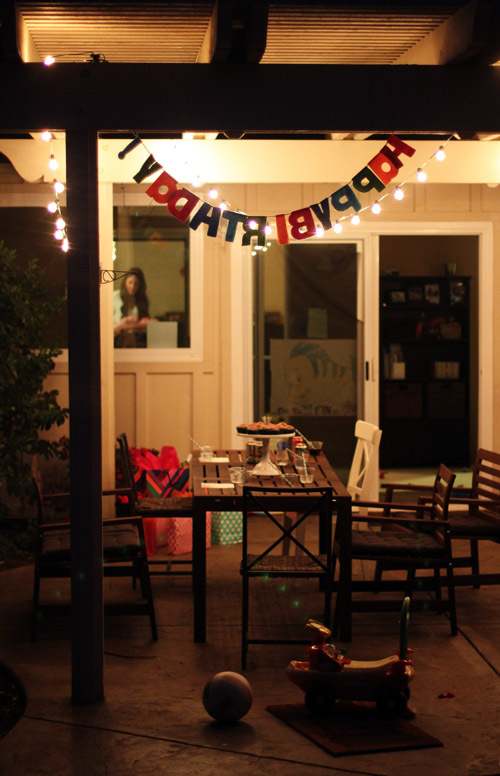 Our family can enjoy holidays and birthdays and celebrations of all kinds under the lights hanging over our patio, those lights becoming a part of the fabric that is our collective family memory. I am truly grateful for this this light that provides so much life after sunset. Yeah, I still need that “perfect” daylight for my food photography, but I will no longer shy away from the “imperfect” light that the photographer in me so often avoids. I will embrace the challenge and be grateful for that light. 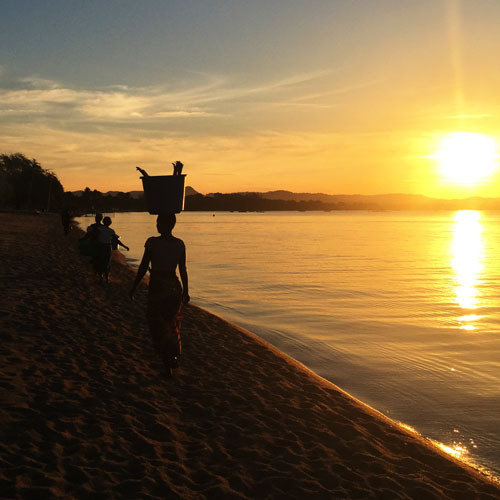 When I traveled to Malawi in May and discovered a world where less than 10% of the people have electricity, I was stunned. To see with my own eyes what life is like for an entire country essentially without electricity, well, it was beyond what I had ever imagined. 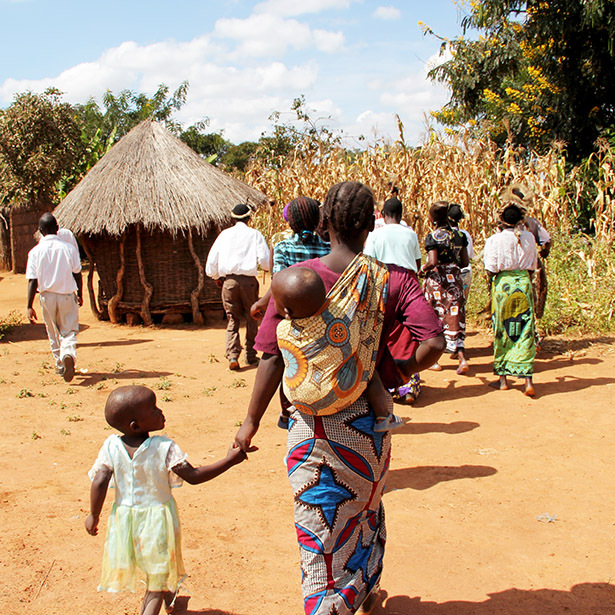 I heard many, many, MANY statistics on the Malawi trip, and they all affected me deeply. 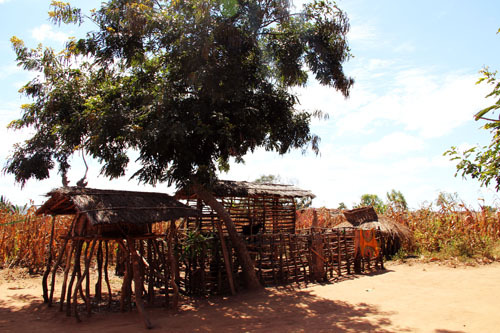 But there were a few that really stood out, including this: 8 out of 10 people in sub-Saharan Africa heat their home and cook food using open fires. 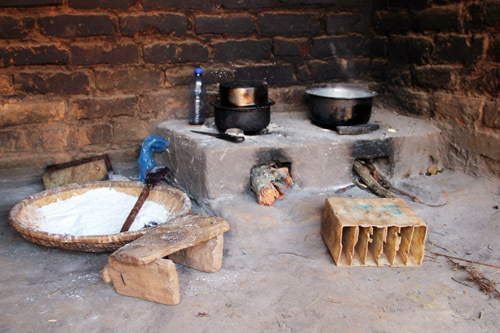 Inhalation of smoke and fumes produced from burning traditional fuels results in more deaths per year among women and children than from HIV/AIDS and malaria COMBINED. Forget the issue of simply lighting your home, lack of electricity is literally killing people every day. The other thing that stood out to me while looking at the homes in the villages we visited were the schoolchildren. Once the sun goes down, studying and reading is out of the question. 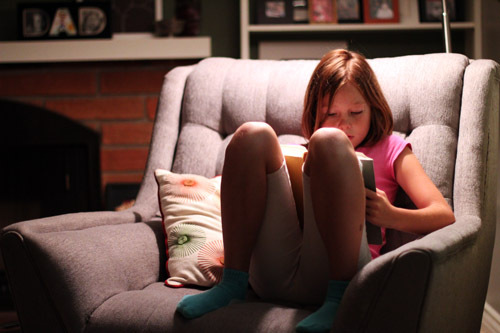 The fact that my girls can read for hours each night is a luxury. 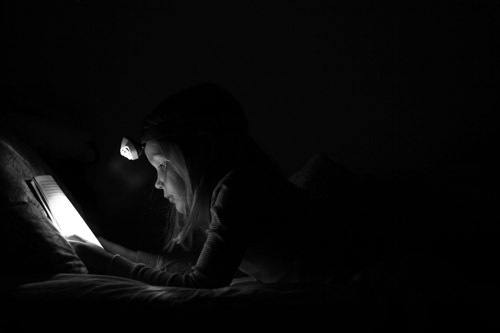 Their head lamps for reading in bed are a blessing. Here’s the cool thing – we can do something about it! 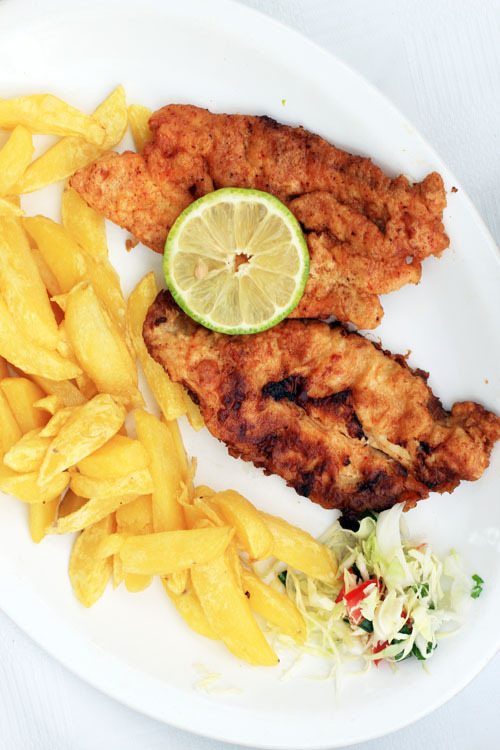 ONE’s bill, the Electrify Africa Act, was reintroduced in the House this past month by Chairman and Ranking Member of the House Foreign Affairs Committee – Ed Royce (R-CA) and Eliot Engel (D-NY). 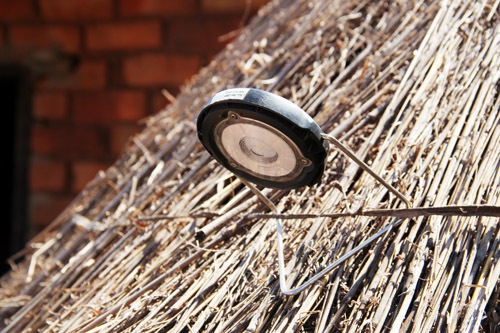 The bill would help provide electricity to 50 million Africans for the first time, at no cost to US taxpayers. Let’s help make everyone’s nighttime merry and bright! This same bill did not pass last year and we can’t let that happen again! We need to tell our leaders that we support this bill. Simply fill out the form below and click “sign petition” and you will have helped in a significant way. Thank you! 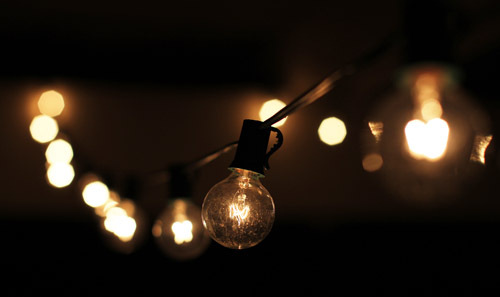 I am participating in the #lightforlight blog relay with ONE. Each day this month a different blogger is writing about light and tomorrow Whit Honea will be sharing his thoughts at Dads 4 Change, so be sure to check it out! Here are the posts that have been published so far. They are all beautiful. 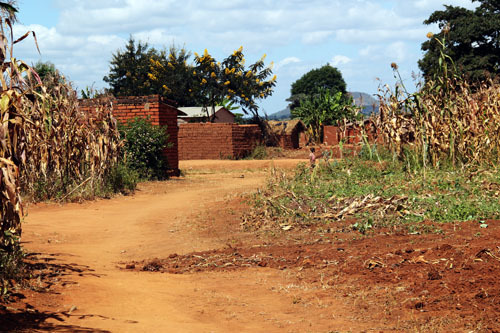 Over the last six weeks as I have talked non-stop to anyone who will listen about my trip to Malawi (seriously, don’t ask me about the trip unless you have some time on your hands), I am discovering that not many people have heard of Heifer International. One of my biggest takeaways from the Malawi trip was that HEIFER IS AMAZING, so I wanted to take a moment today to share what exactly it is they do! Years ago at Christmastime our aunt gave us a gift from Heifer, which meant a donation was made in our name to a family in need. It was the first time I had ever received a gift of this type, so the name “Heifer” has stayed with me. It hasn’t been until fairly recently, however, that I’ve really began to have a lot of experience with Heifer International. The more I get involved the more impressed I am with this non-profit organization. 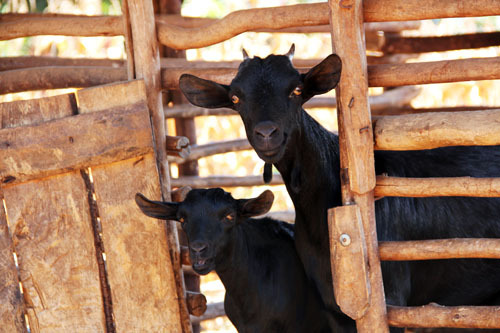 In a nutshell, Heifer International places livestock with families in over 30 countries (including the U.S.) and has been doing so for over 70 years. 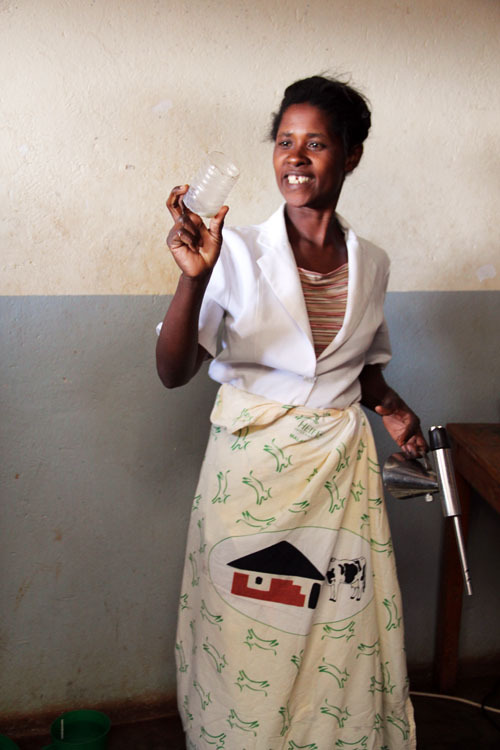 Heifer’s goal is to end hunger and poverty through the “teach a man to fish” philosophy, and it works. 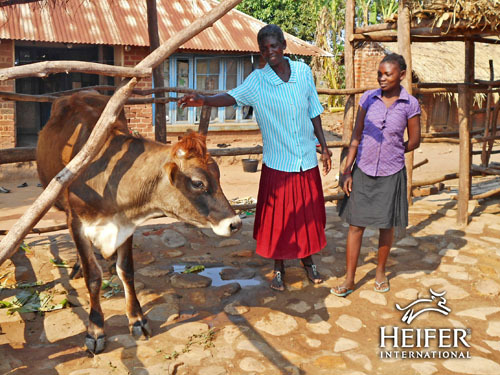 The core of their model is “Passing on the Gift.” Families who receive a gift from Heifer are expected to pass it on, both by sharing their training as well as giving away the first female offspring from the livestock they receive. This not only extends the original gift but gives families the opportunity to invest in their own communities in a meaningful and sustainable way. 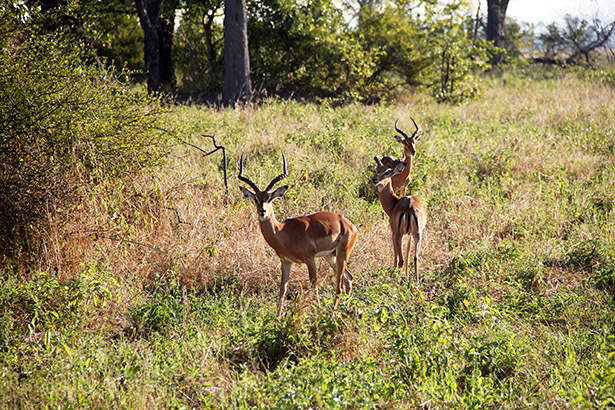 And, as I discovered in Malawi, many of these families pass on livestock to others in their community more than just once! Economic independence is the key to meaningful development and reducing extreme poverty, but it is one of the hardest things to accomplish. 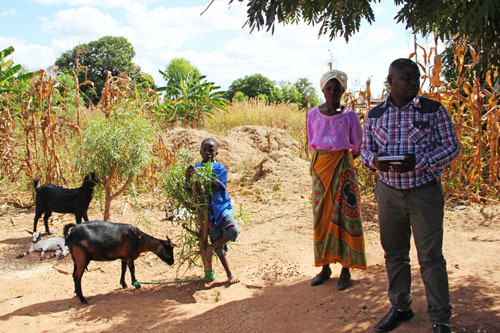 Heifer has found ways to do just that and we saw firsthand on our trip to Malawi how communities are being transformed in sustainable and long-term ways. The chief of Gomani village (in the brightly colored shirt) addresses our delegation, explaining the impact of Heifer’s work on the village at large. I kid you not, “We Are the World” was playing on a radio in the background while he spoke. Coincidence? I think not. This is the same village where people were singing and dancing the WHOLE TIME we were there, at least an hour. Gomani wins the Most Village Spirit superlative! 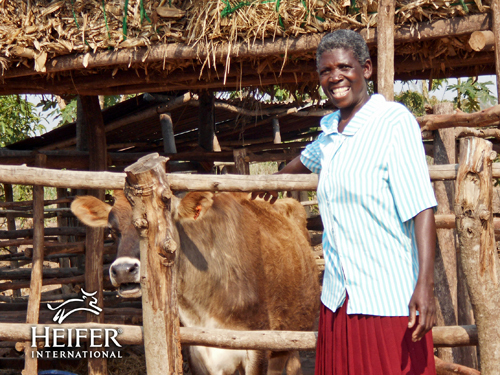 One of the biggest reasons I think Heifer is so successful is because they work within the communities they serve. Heifer employees on the ground are locals, so they understand the culture and politics of the communities where they are working. 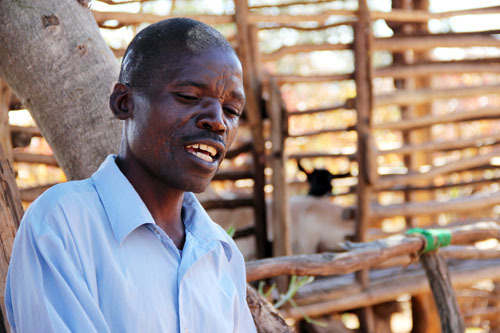 For example, in Malawi the Heifer team works with tribal chiefs to identify families that would be the best recipients of livestock. 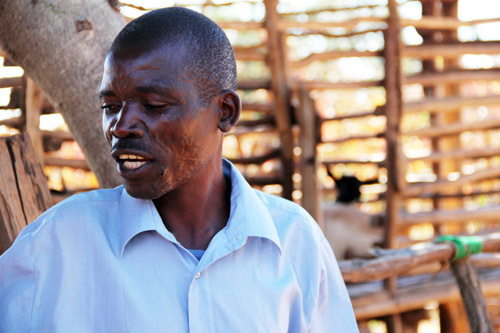 Families that are chosen are vetted thoroughly and often go on to become lead farmers in their villages, like Mr. Mtika, whom I wrote about a few weeks ago. I also love that Heifer isn’t just about giving away cows and goats and calling it a day. Heifer employs many different “interventions” in the countries where they work, including disaster risk reduction, low carbon technology, village savings & loan groups, agroforestry, irrigation, livestock (which I already described), seed systems, conservation & agriculture, post harvest management, gender & family, and more. 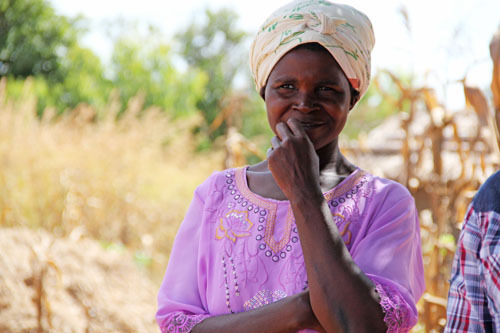 As Heifer works within communities, they identify the best interventions for each situation. 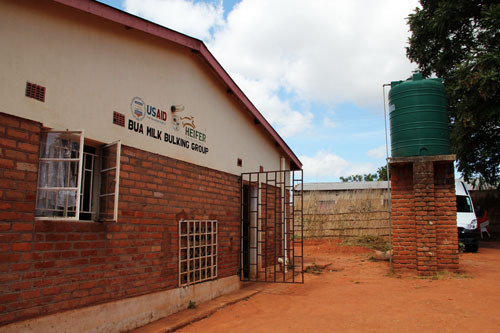 For example, in Malawi they have assisted in creating milk bulking co-ops where farmers can sell their milk. 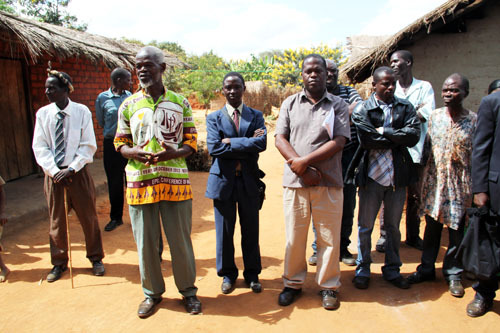 We visited two of these co-ops, which were impressive facilities that were led and run by Malawians. 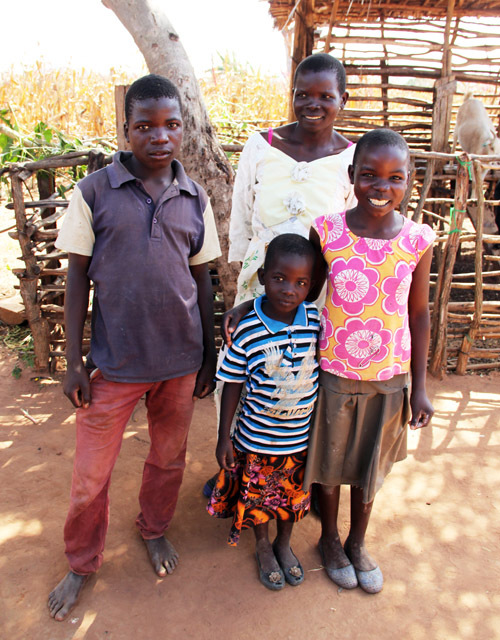 On the last day in Malawi we visited three farmer families in the Thoylo district. 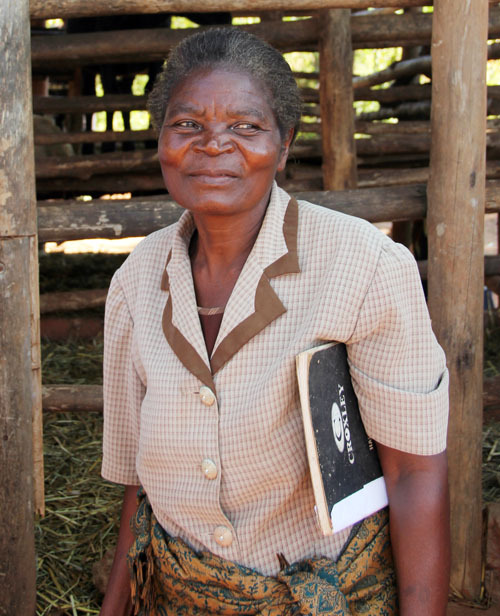 The first farmer had been working with Heifer for 6 months, the second was in the process of building a pen for livestock she would soon be receiving from Heifer, and the third farmer had not yet begun working with Heifer. I keep using the word amazing, but it was amazing to see the transformation these families go through when working with Heifer. 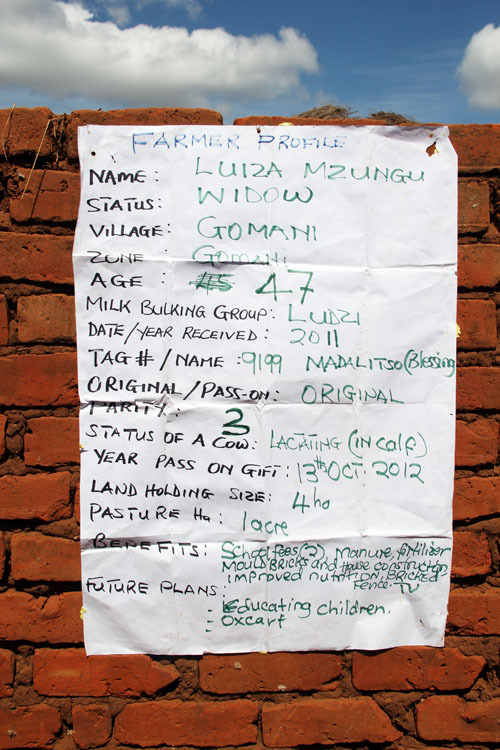 The differences in quality of life between the first and third families was striking and it made me excited for the woman who would soon be working with Heifer and needed the help so desperately. 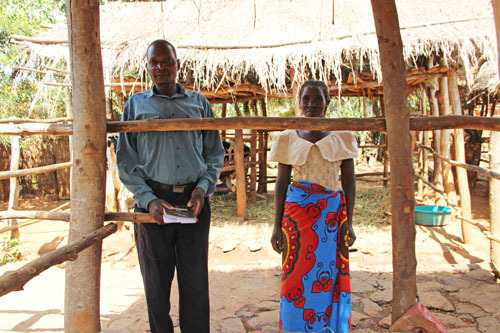 Lastly, the Malawians we met who have worked with Heifer International really love Heifer. A lot. You can see it in their faces, in their songs, in their embraces. 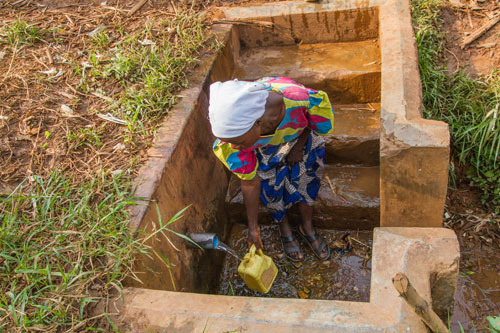 You can see the personal connections the Heifer employees have with the villagers. 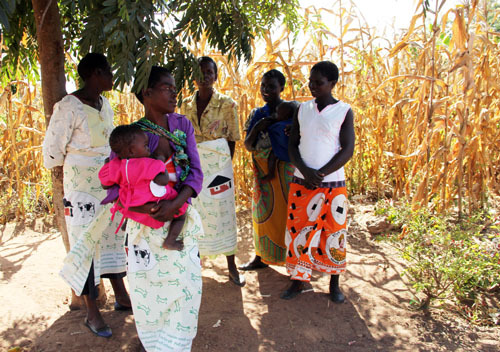 Farmers at all our stops were wearing Heifer fabric, fabric they bought at cost from Heifer. 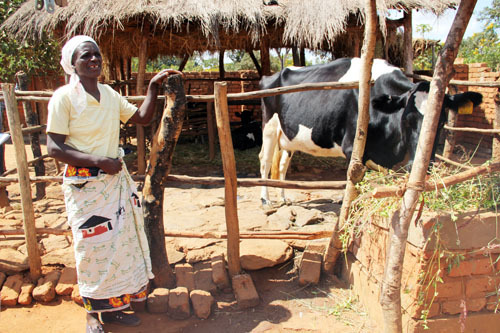 You could tell that Heifer farmers were incredibly proud to be Heifer farmers. We saw Heifer fabric everywhere we went! I could go on and on, but I’m going to resist the urge to write a book and just keep this to a really long blog post. 😉 I’ll end with this: If you’re ever looking for an organization to donate to, Heifer is an excellent choice. Donor money is used responsibly and effectively and it is truly changing people’s lives. 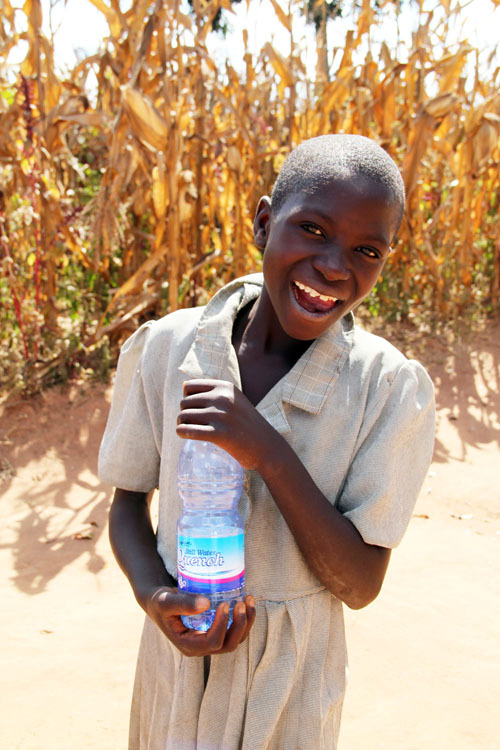 Plus, it’s fun to go “shopping” with Heifer! My kids gave Nate and their grandpas animals for Father’s Day this year. The dads had a choice between flocks of chicks, ducks, geese or honeybees. We ended up gifting chicks and ducks and the kids loved it! 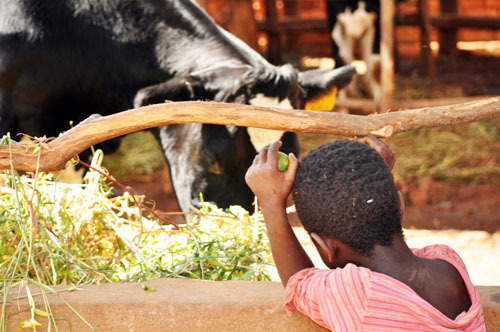 There are many ways to support Heifer – click here to see more! 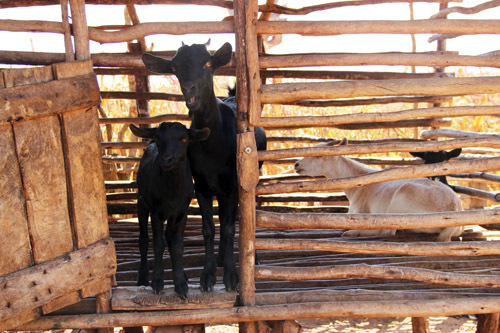 The Mtika’s goat pen…and goats! 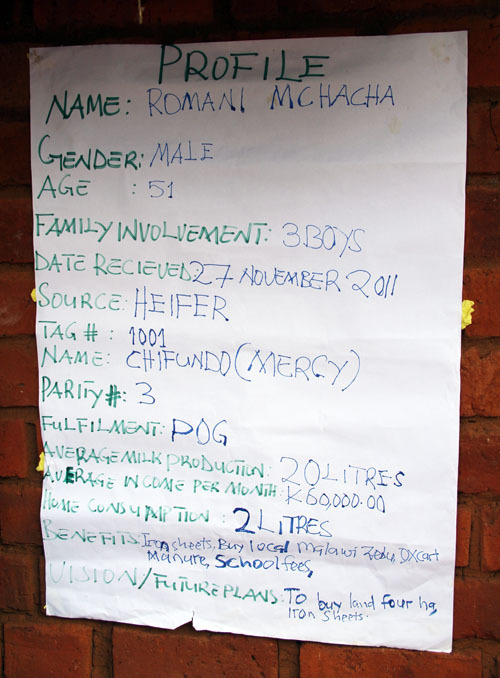 I am now a Heifer Lifer, just like the people I met in Malawi. If I wore headscarves, you’d better believe I’d have one made from Heifer fabric! I’ll just have to wear my Heifer t-shirt instead. Not quite as festive but still gets the message across! 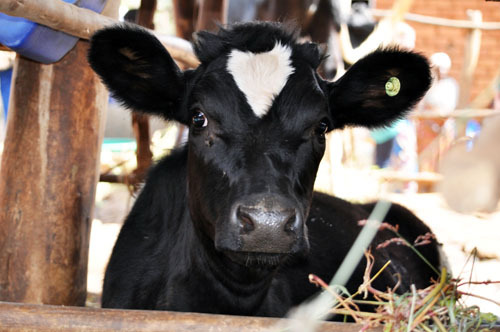 In case you were wondering, a “heifer” is a young, female cow that has not yet borne a calf. Now you’re smarter. You’re welcome. 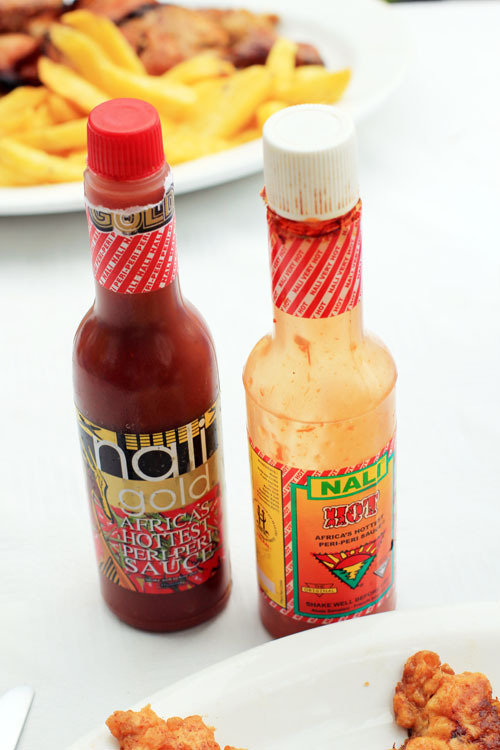 I jokingly said to Nate that I must have brought back the “Spirit of Malawi” with me, i.e. constant power outages. Nate asked if that really happens a lot in Malawi and I was like, “Um, pretty much ALL THE TIME” and then proceeded to rattle off all kinds of interesting yet discouraging facts about the state of electricity in Malawi. Before my trip to Malawi, ONE mailed a binder filled with information about the country and the various foreign aid groups that we would be visiting and learning about. One of the many statistics I read was that only 9% of Malawians are connected to the electrical grid. That’s right, 9% of Malawi has electricity (only 0.4% of rural Malawi), which means 14 million Malawians do NOT have electricity. While reading that number was both shocking and thought provoking, actually visiting Malawi and talking to the people about the problems with electricity was incredibly eye opening. Every site we visited is impacted by electricity (or the lack thereof) in some way, from homes to businesses to hospitals and more. 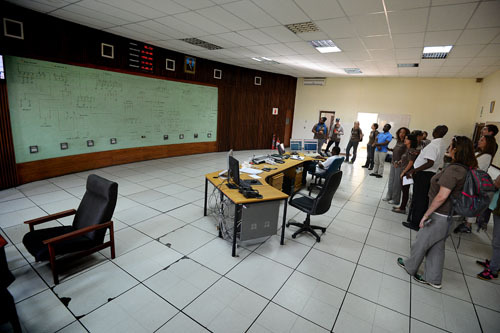 The country has only 350 megawatts of generation capacity. For comparison’s sake, Nigeria generates over 4,000 megawatts and the United States generates over 1,000 GIGAwatts annually. Essentially, it’s no comparison. And the 350 megawatts Malawi does have is not sufficient to meet current demands. 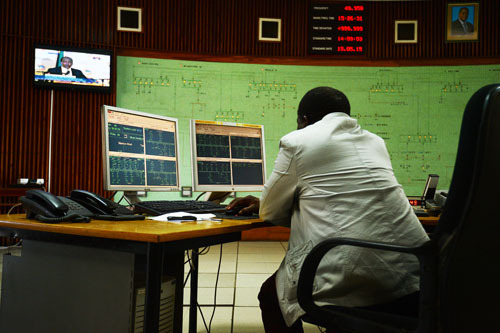 They would need 400 megawatts just to cover the 9% of Malawi now on the grid. 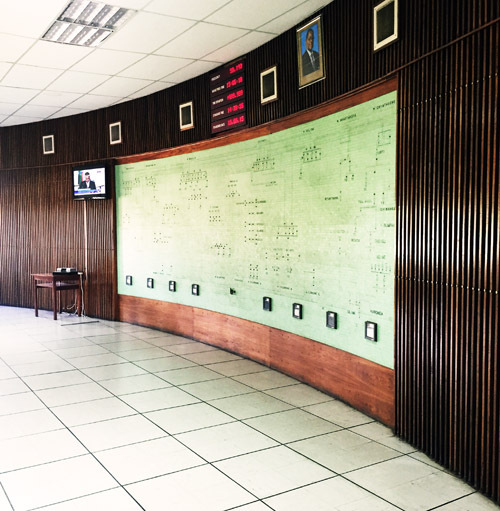 We had the opportunity to meet with Oliver Pierson, Resident Country Director at Millennium Challenge Corporation (MCC), and Patrick Kadewa, Systems Operations and Power Trading Manager, Electricity Supply Corporation of Malawi (ESCOM), as well as take a tour of the National Control Center for ESCOM. Oliver is an American living in Malawi managing a $350 million dollar project that MCC has in place to improve Malawi’s electrical grid. MCC is an innovative and independent foreign aid agency created in 2004 by Congress (with strong bipartisan support) that is doing work to fight poverty in many countries throughout the world (see more about MCC here). 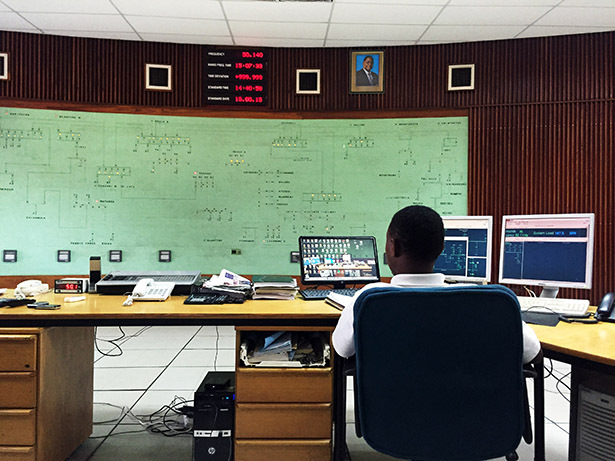 In 2013 MCC signed a 5-year compact with the government of Malawi aimed at improving the generation, transmission and control of electricity. Power blackouts are not just an inconvenience, they have a significantly negative impact on the economy and the ability for Malawi to develop as a nation. While we did experience a blackout ourselves near Lake Malawi, talking to people and finding out what a huge impact these blackouts have was for more informative than my small experience at a hotel. Some buildings have back-up generators, but those are expensive to run, often break down and are not the norm. Hospitals are especially vulnerable to blackouts, affecting care as well as the storage of precious vaccines. The milk bulking groups that we visited also suffer from unreliable electricity, losing all of their milk supplies with extended blackouts. That means the farmers who walked or biked kilometer after kilometer to deliver their milk to the facility completely miss that income. 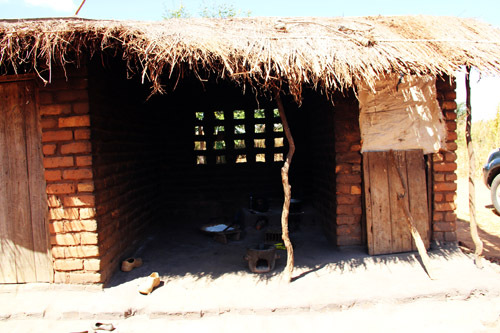 These are just a few examples, not to mention what daily life is like for most Malawians living without electricity entirely. 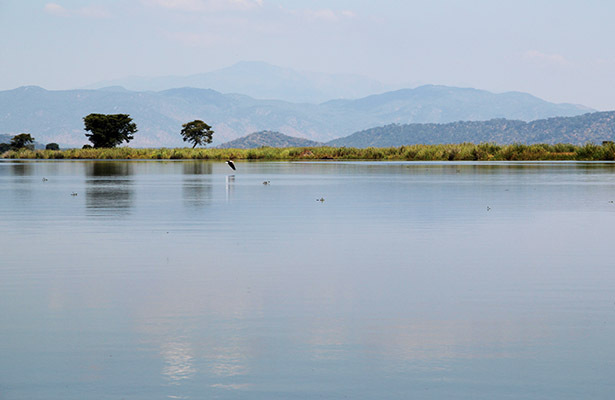 Malawi’s power is all hydro, generated from 3 dams on the Shire river, one of which is in need of serious repair (an MCC project). Solar is looking like the best secondary option, but coal is being explored as well. I personally have hope for solar. For example, the Ivanpah Solar Power Facility in California generates 392 megawatts. Patrick said the biggest challenge with solar was cost, which is not a surprise considering the Ivanpah facility was a $2.2 billion project. Installing solar alone is not all that cost-prohibitive, but getting the batteries to store the energy nearly doubles the cost. Despite these challenges, one example of successful solar power use in Malawi is the Lilongwe airport, which runs entirely on 1 megawatt of solar power. MCC employees are almost entirely Malawian. 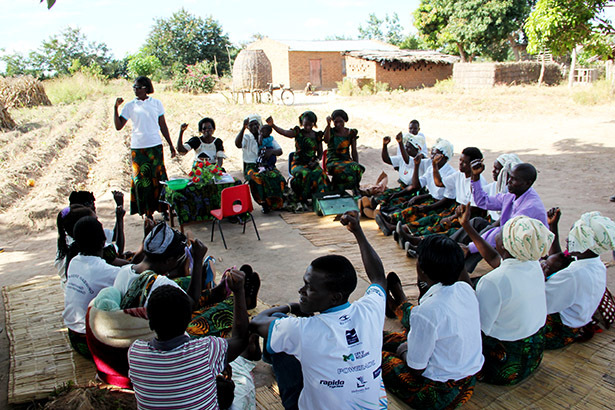 This was a theme I saw time and again among the groups doing sustainable foreign aid work in Malawi – employing locals makes the work far more effective and long lasting. 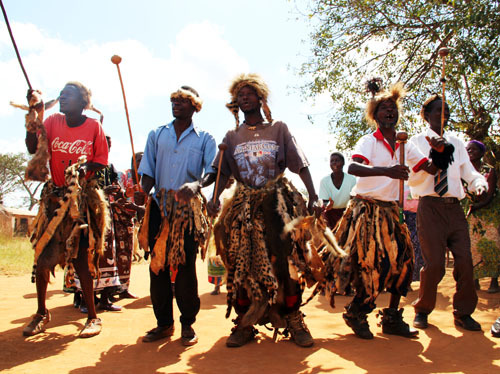 MCC’s compact with the Malawian government is for $350.7 million. The Westfield mall in my neighborhood is currently getting a “beach chic” makeover for $300 million. Just some food for thought. Thinking about the issue of electricity in Malawi is overwhelming. Talking to the people who are working on the system, however, is inspiring. 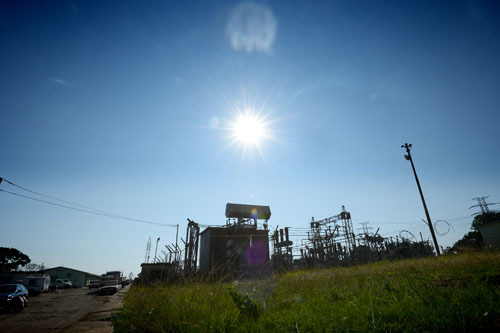 It cannot be denied that they have their work cut out for them but they keep at it valiantly, despite the challenges of ESCOM’s antiquated system. So, what’s the point of today’s post? For me the two biggest messages are this. First, the less than 1% of the U.S. budget that goes towards foreign aid is doing phenomenal work. For the price it takes to renovate a mall we can make significant improvements in the lives of millions of people. We need to keep letting our government leaders know that we support these programs (organizations like ONE help us do just that!). Second, the problems are vast and complex, but we cannot and should not give up. Just like the workers we met from ESCOM, you do the best you can with what you’ve got and continue to work hard for better. 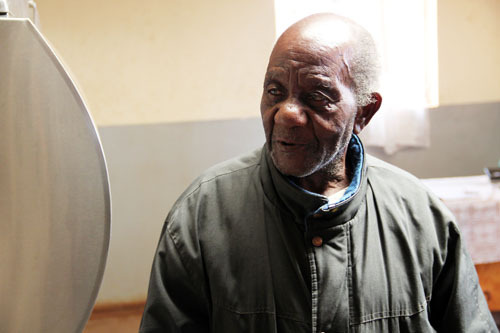 The Mtika family (who I introduced you to last week) does not have electricity. Each day they put a small solar light on the roof of their maize silo, which is what they use to light their home at night. Their kitchen is in a separate building from their home, with efficient fire-powered clay ovens that they use for cooking. 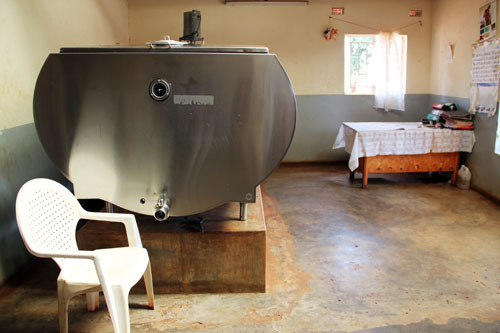 This kitchen is a huge blessing compared to what others have, yet there is still no electricity. 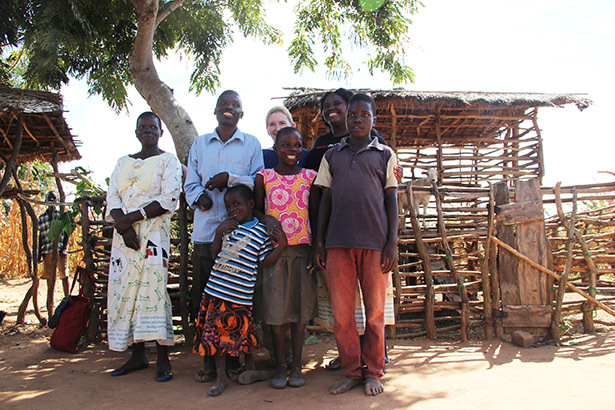 Over the last four years the Mtika’s lives have improved significantly while working with Heifer International, but the lack of electricity is still a huge challenge. 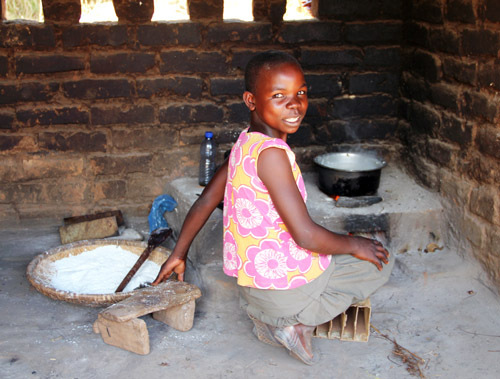 When I hear the statistic “91% of Malawians do not have electricity,” I think of the Mtikas, their kitchen, and their smiling faces. And I hope that one day they too can enjoy the benefits of electricity and so much more. Hello Friends! Today is my last day in Malawi and I’m about to head off to the farewell dinner. As I expected the week has flown by and I have seen so many beautiful parts of this country, met so many of its wonderful people and learned so many things about the challenges Malawi faces. You better believe I’ll be writing a whole bunch of posts in the coming weeks. The Internet has been very spotty all week, so I didn’t end up doing blog posts like I had planned. But I did keep Instagram updated, so if you haven’t been following over there, please be sure to check out the videos and photos I’ve been posting. They are among some of my favorite images ever. See you in the U.S. on Sunday! Have a wonderful weekend! Oh, and, OF COURSE feel free to share stuff for Show and Tell! When I started college, I chose International Relations as a major, with a focus on developing countries and women’s studies. I stuck with that major right up until graduation and wrote my undergrad thesis about the challenges of creating and enforcing international women’s rights laws. I was very passionate about the issues that I studied and had visions of, well, I’m not entirely sure what my visions were, but I know they involved helping people. From the time I was a child, I was acutely aware of how fortunate I was to be born in the time and place that I was. And I was also always very concerned about those who were less fortunate. Three years ago I met Jeannine Harvey from ONE at the Mom 2.0 Summit. We instantly connected on about 500 different levels and have stayed in touch and worked together ever since. Talking with Jeannine about ONE’s goals reinvigorated my interest and concern for the developing world. It has been rewarding to work with ONE over the years, using my platform to inform others about the issues facing our world and specifically developing regions like Africa. I can’t even tell you how excited and fortunate I feel to be able to join ONE and Heifer International on this journey to Malawi. For the first time I will visit the continent that I have spent countless hours studying and writing about. 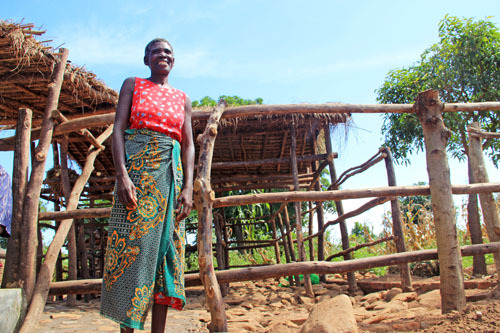 I will get the chance to meet and connect with the people of Malawi, a country known as the “Warm Heart of Africa,” and see how foreign aid has and will continue to benefit their communities and families. And then I get to write about it, share what I learn with you, help spread the word to further garner support for programs that are helping people in meaningful ways. My dad asked me this week why I’m going to Malawi. “So, you’re going to change the world, huh?” he said. I laughed and said, “Of course!” Seriously, though, I am under no illusions that my visit is going to change the world. I am just one person, but I am one person who can tell other people what I see and learn, and together we can change the world. I really, truly believe we can. On my flight from San Diego to Washington, D.C. today I spent about 4 hours reading briefing materials for the trip. At one point while I was reading the information about Heifer International I was overwhelmed with emotion. I literally started crying, which I promptly tried to cover up so that the StitchFix stylist and her husband didn’t see the tears streaming down my face. Just when I thought I had it under control, the tears returned. While I was feeling overwhelmed by the sheer vastness and complexity of the problems at hand, that wasn’t what brought the tears to my eyes. I was crying because I felt overwhelmed at the goodness of humans. 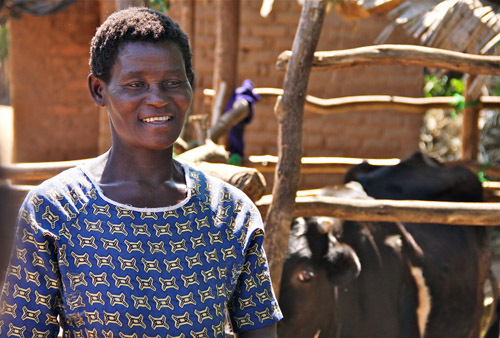 Organizations like Heifer as well as governments like that of the U.S. are doing truly transformative work to help others who are less fortunate, others who could not improve their world without help. People devote their lives to these causes and do make a difference. It’s inspiring and beautiful. I think it’s easy to sometimes feel like the problems are too big, so, why bother? But the fact is we are all connected in this world, more so than we ever have been before, and it is our duty as humans to help one another. I cried on the plane because, despite so much that is wrong with our world, the desire to help one another burns in enough hearts to be a powerful force. People are living up to their duty of helping others and it is changing the world. I feel honored to be just one small part of that change. In preparation for my trip I stopped at RoadRunner Sports to get some socks. (They have great socks.) The man helping me asked where I was going to be traveling and when I told him Africa, his hand flew to his chest and he was physically overcome with happiness. He said, “Oh! Africa! It is my heart!” I learned that he was from Liberia and he was, quite simply, joyful about my trip. It was amazing to me how one small interaction communicated so much. I look forward to more small interactions with all kinds of wonderful people over the next week. I look forward to connecting with individuals, hearing their stories, and then sharing them with you. And I look forward to bringing home Africa in my heart. 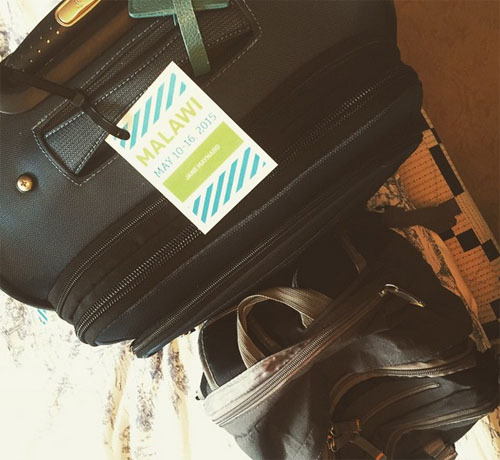 I’m traveling to Malawi as an expense-paid guest of The ONE Campaign (www.one.org) and Heifer International (www.heifer.org). 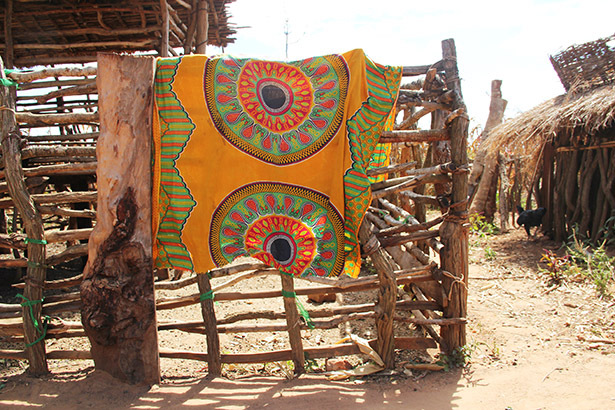 We are visiting to see the economic progress””and the lives changed””made possible by US funded programs and Heifer International’s donor-supported programs. As you know, every few months or so I do a post with Fair Trade USA to help spread the word about the great work they do. 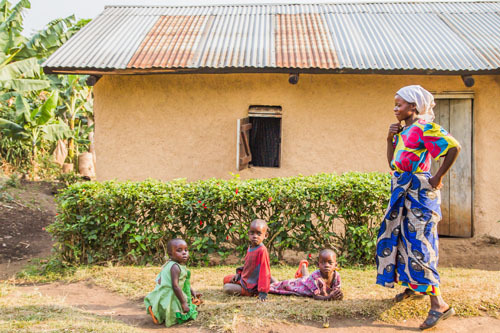 This week we’re celebrating Mother’s Day together by sharing the story of a mother from Uganda, giving away a big ol’ bunch of awesome Fair Trade goodies and sharing a fair trade recipe! If you want to read more about what fair trade is, click here. Fair Trade USA says it all a whole lot better than I do. In a nutshell, buying fair trade products means you are supporting farmers in truly meaningful and sustainable ways in more than 70 countries. One of those farmers is Komuhendo Jacqueline, an inspirational tea farmer & me”‹mber of the Mpanga Growers Tea Factory in Uganda. 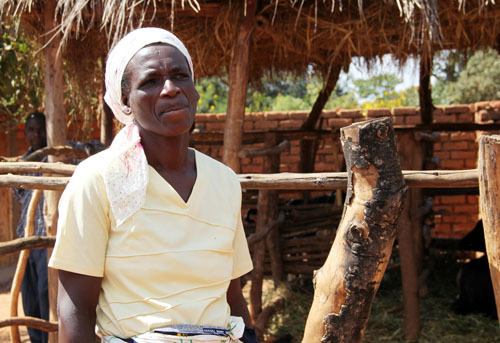 Komuhendo Jacqueline and her family have been growing tea since 2009. 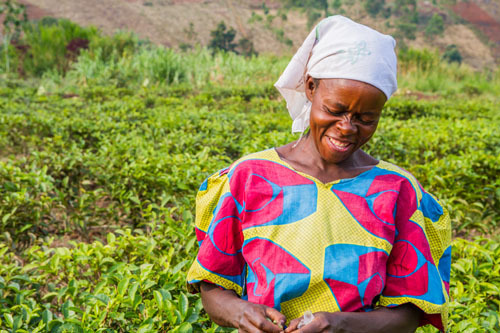 She says that the biggest benefit to selling Fair Trade Certified tea is that it has enabled her to pay for school fees for 3 of her children. 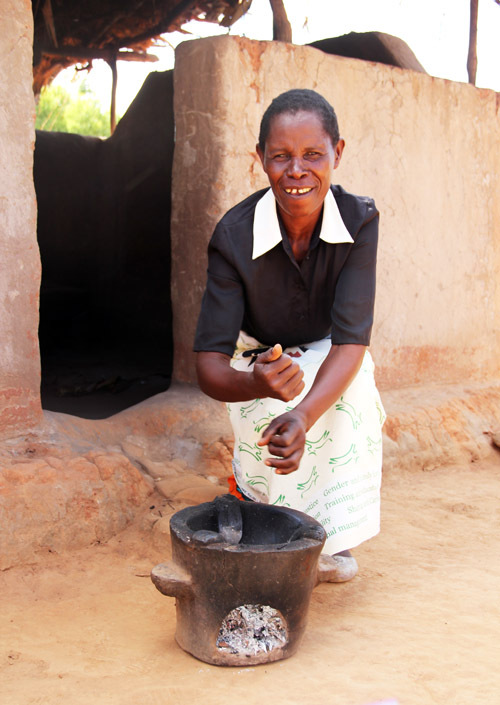 It has also enabled her family to start sustainable food security projects for their home that can continue for years to come. 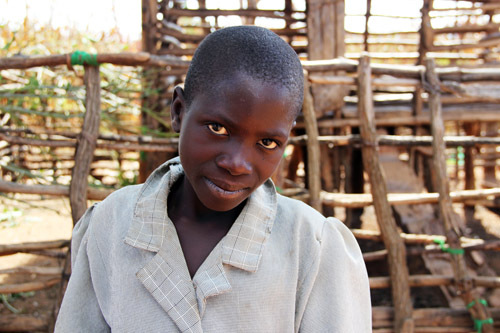 She hopes to sell more of her tea so that she can send her other 4 children to school. Fair Trade has helped Komuhendo Jacqueline and her community in so many ways, including building a nearby well that has provided much closer access to clean water, building a health clinic, providing shelter for workers during the work day, creating a women’s organization that helps empower women to be a more active part of generating income for their families in a region where traditionally men have taken sole ownership of tea farming, and MORE. 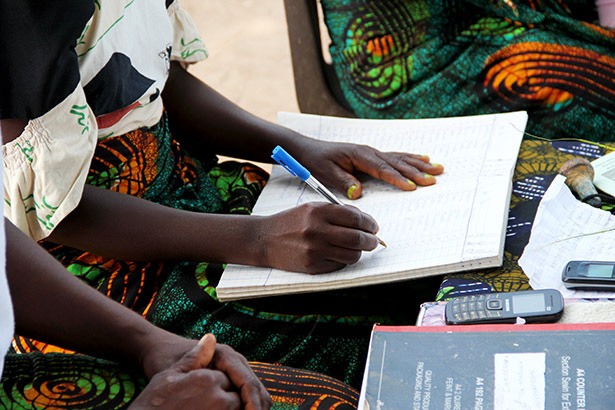 It’s really amazing the long-term and meaningful ways fair trade has helped women and mothers in this community. Learning about Komuhendo Jacqueline’s story has been especially poignant for me this week as I will be flying over her home in just a few days’ time! 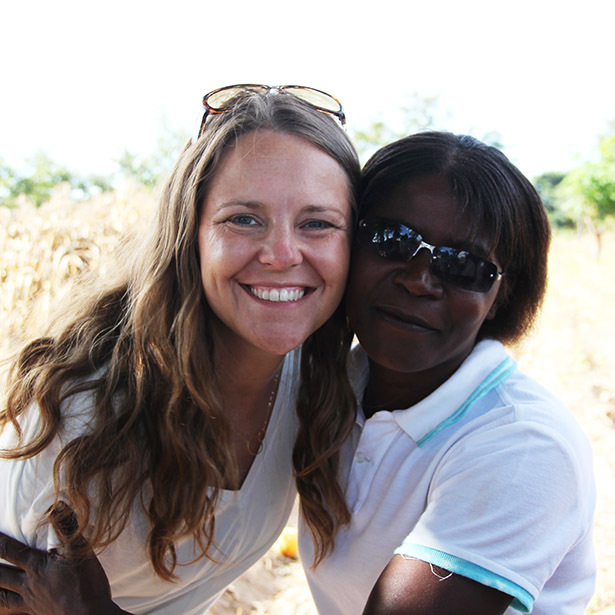 As I have mentioned, I am traveling to Malawi with ONE and Heifer International this week. 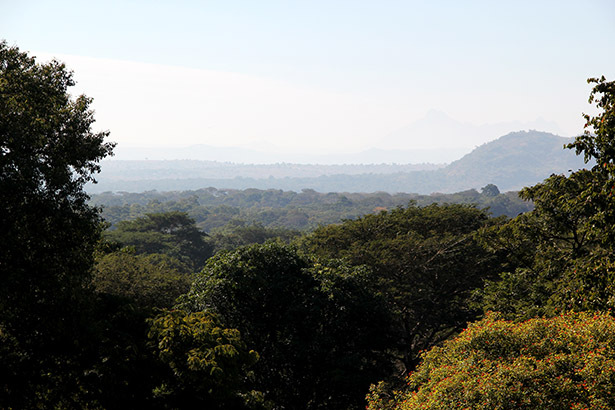 Malawi is another country where farmers have benefited from Fair Trade efforts through the production of coffee, sugar and tea, and I can’t tell you how excited I am to meet the people of this country and talk to farmers. 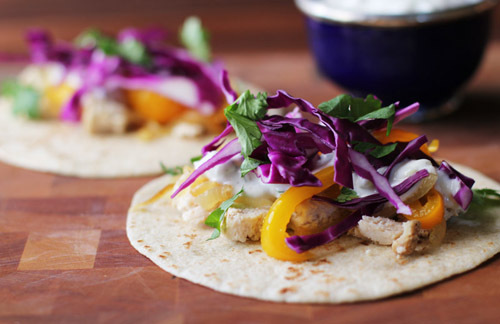 I could go on and on, but I think it’s time to give away some goodies and share a recipe with you! First, the giveaway. 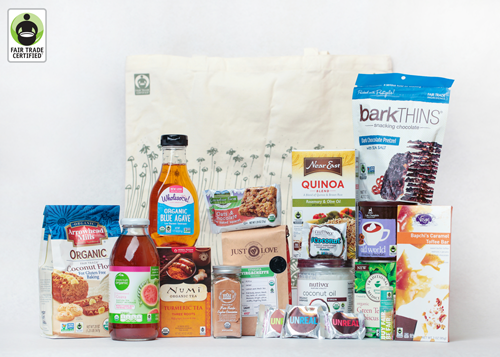 Fair Trade USA will send one lucky, randomly-selected commenter all of the following goodies! Recipe time! Today I have a recipe for Gluten-Free Coconut Lime Shortbread. In the interest of full disclosure, Nate and Cate did NOT like these cookies. My neighbor Kat, who does TONS of gluten-free baking and loves and cares about food very much, loved the cookies. I personally think the cookies have a wonderful flavor and I do like them. Just know this is a cookie that is meant to be nibbled…coconut flour absorbs fluid better than a sponge, and that still applies even when it’s in your mouth! Sit down with a nice cup of fair trade tea and slowly enjoy your delicious cookie! 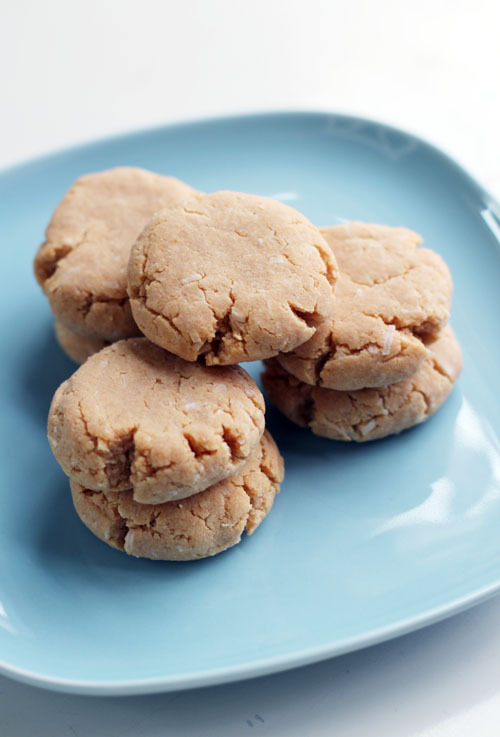 A very flavorful, gluten-free shortbread cookie. Eat in nibbles, no big bites! 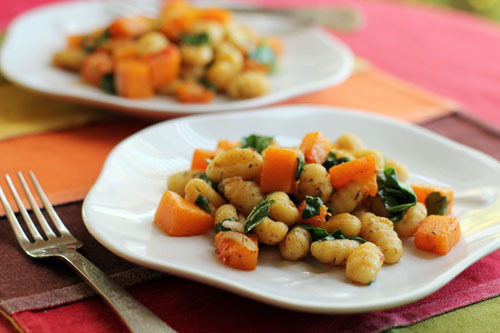 Mix all ingredients very well using a fork or pastry blender. Make cookie balls out of ~2 tablespoons of dough per cookie. Roll in your hand, set on a a parchment paper or silpat lined cookie sheet and gently press the cookie flat to about ¼" thick. Let cool completely before moving off of the cookie sheet or they will crumble.